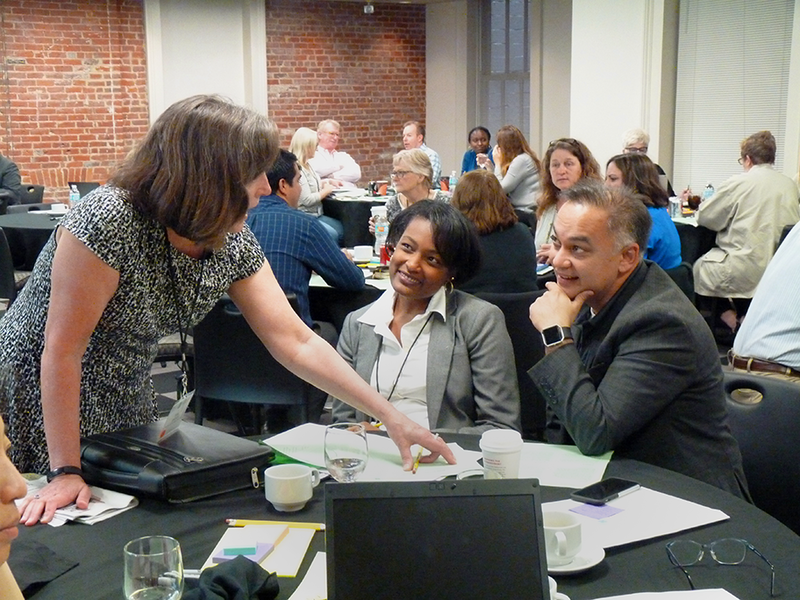 UNC Gillings’ Anna Schenck (foreground, left) working with Rocaille Roberts and Umair Shah from Harris County (Texas) Public Health during the Kresge Foundation’s Emerging Leaders Program. NCIPH has a long history of developing and delivering public health leadership programs at the local, state, regional, and national levels. Many of our past programs are listed on our training programs page. Our current leadership programs are described below. Our NCIPH mission drives us to help public health organizations develop leadership and learning capacity. We have consulted with a wide array of public health organizations, bringing our skills in assessment, leadership and organizational development and public health to their specific organizational challenges and opportunities. We share your values and commitment to the public’s health. And we want to share our rich knowledge base around public health practice and workforce development, a knowledge base built over decades and enhanced by our robust experience providing consulting and technical assistance to top-notch public health and healthcare organizations, and hundreds of leaders, over many years. Let us help you assess the opportunity and custom-design a solution that integrates leadership development, strategy and workforce engagement. Past clients of custom organizational and leadership development include healthcare systems (Novant Health, New Hanover Regional Medical Center), national organizations (ASTHO), and local health departments (Durham County).